October 18, 2017 – Powerful solar eruptions could electrically charge areas of the Martian moon Phobos to hundreds of volts, presenting a complex electrical environment that could possibly affect sensitive electronics carried by future robotic explorers, according to a new NASA study. The study also considered electrical charges that could develop as astronauts transit the surface on potential human missions to Phobos. Phobos has been considered as a possible initial base for human exploration of Mars because its weak gravity makes it easier to land spacecraft, astronauts and supplies. The idea would be to have the astronauts control robots on the Martian surface from the moons of Mars, without the considerable time delay faced by Earth-based operators. “We found that astronauts or rovers could accumulate significant electric charges when traversing the night side of Phobos – the side facing Mars during the Martian day,” said William Farrell of NASA’s Goddard Space Flight Center, Greenbelt, Maryland. “While we don’t expect these charges to be large enough to injure an astronaut, they are potentially large enough to affect sensitive equipment, so we would need to design spacesuits and equipment that minimizes any charging hazard.” Farrell is lead author of a paper on this research published online October 3 in Advances in Space Research. 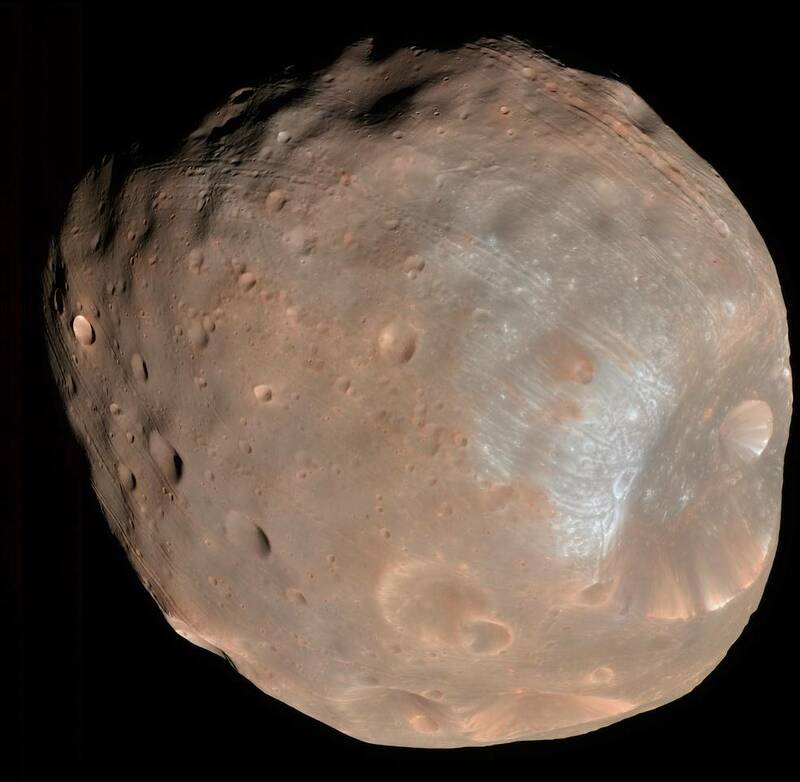 Mars has two small moons, Phobos and Deimos. Although this study focused on Phobos, similar conditions are expected at Deimos, since both moons have no atmosphere and are directly exposed to the solar wind – a stream of electrically conducting gas, called a plasma, that’s constantly blowing off the surface of the Sun into space at around a million miles per hour. The study shows that this plasma void behind Phobos may create a situation where astronauts and rovers build up significant electric charges. For example, if astronauts were to walk across the night-side surface, friction could transfer charge from the dust and rock on the surface to their spacesuits. This dust and rock is a very poor conductor of electricity, so the charge can’t flow back easily into the surface — and charge starts to build up on the spacesuits. On the day side, the electrically conducting solar wind and solar ultraviolet radiation can remove the excess charge on the suit. But, on the night side, the ion and electron densities in the trailing plasma void are so low they cannot compensate or ‘dissipate’ the charge build-up. The team’s calculations revealed that this static charge can reach ten thousand volts in some materials, like the Teflon suits used in the Apollo lunar missions. If the astronaut then touches something conductive, like a piece of equipment, this could release the charge, possibly similar to the discharge you get when you shuffle across a carpet and touch a metal door handle. The team modeled the flow of the solar wind around Phobos and calculated the buildup of charge on the night side, as well as in obstructed regions in shadow, like Stickney crater, the largest crater on Phobos. 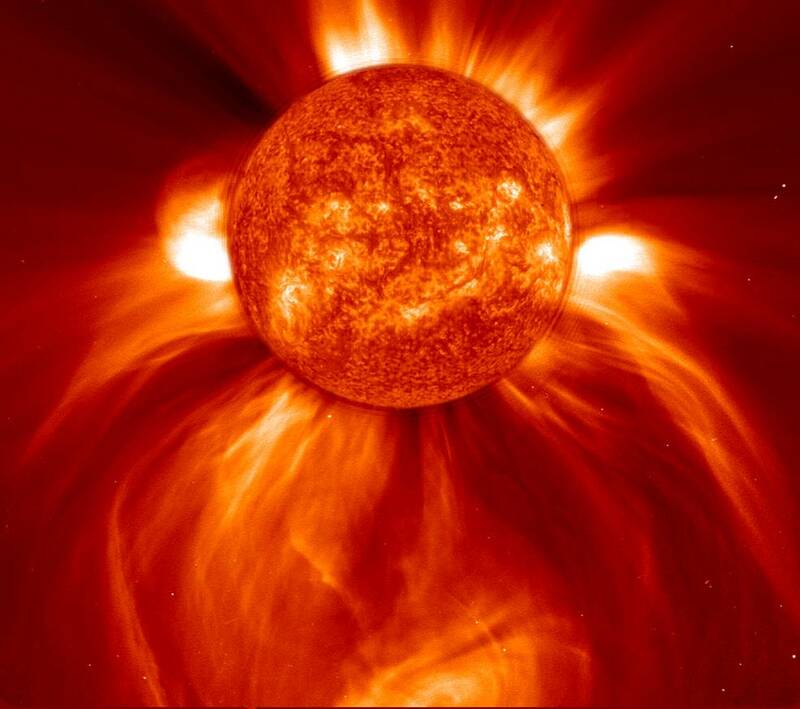 “We found that excess charge builds up in these regions during all solar wind conditions, but the charging effect was especially severe in the wake of solar eruptions like coronal mass ejections, which are dense, fast gusts of solar wind,” said Farrell. This study was a follow-up to earlier studies that revealed the charging effects of solar wind in shadowed craters on Earth’s Moon and near-Earth asteroids. Some conditions on Phobos are different than those in the earlier studies. For example, Phobos gets immersed in the plasma flowing behind Mars because it orbits Mars much closer than the Moon orbits Earth. The plasma flow behind Mars’ orbit was modeled as well. The research was funded by Goddard’s Dynamic Response of the Environment at Asteroids, the Moon, and moons of Mars (DREAM2) center, as well as the Solar System Exploration Research Virtual Institute (SSERVI), based and managed at NASA’s Ames Research Center in Moffett Field, California. SSERVI is a virtual institute that, together with international partnerships, brings science and exploration researchers together in a collaborative virtual setting. SSERVI is funded by the Science Mission Directorate and Human Exploration and Operations Mission Directorate at NASA Headquarters in Washington.